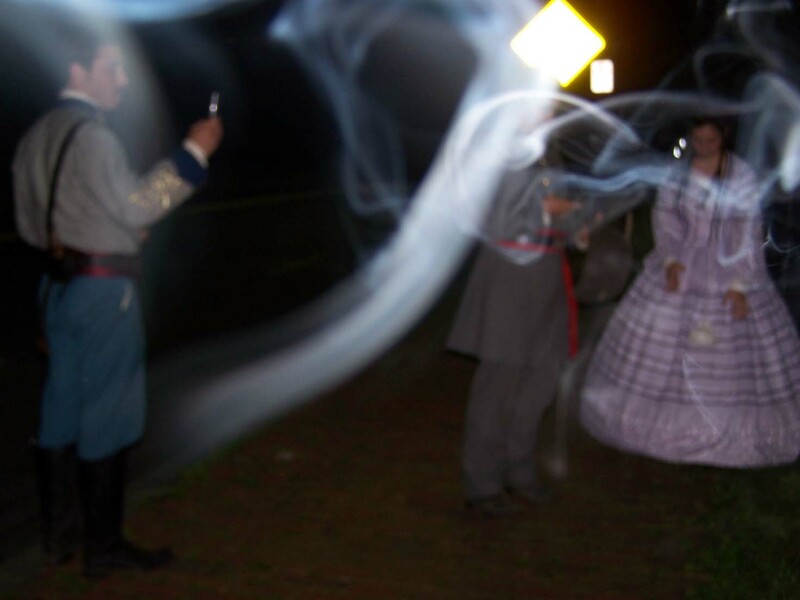 It's not smoke, not light refraction/reflection, not mist, not fog, not condensation, not blurs on the camera lense.....All we know is we felt a very promienent cold spot on a hot night and we took this picture and this is what appeared on film. We even had a paranormal team review and analyse the picture- they confirmed that we definately caught something on film! Supposedly by this fence, back in the 1850's, General Sickles beat & shot Barton Key (Francis Scott Key's son) to death for sleeping with the General's wife...maybe this is Barton trying to reach through time, space, and dimension! We only watch and tremble—too afraid to stand and fight.